Perfect for Mothers Day! 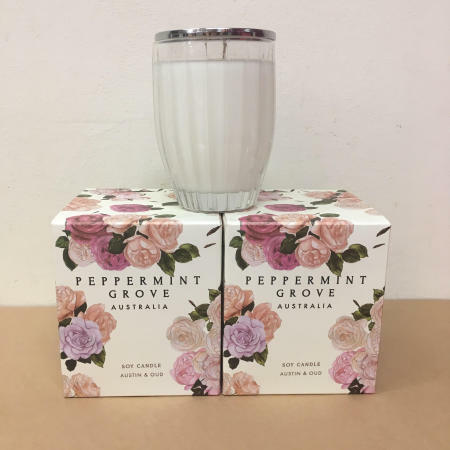 Gorgeous Peppermint Grove range of soy candles. This beautiful soy candle has the wonderful aroma of Austin and Oud.